​Here is a simple practice you can use . Extend the silence if you like. ​There is nothing wrong with praying in words but contemplative prayer is about giving space for God to do the talking. This space may better be made through silence. Silence is not easy, particularly in a world where any hint of silence tends to be filled by frantic energy of one kind or another. Even when people pray together, silent moments often cause some of them, many even, to feel anxious and so quickly offer words and petitions to fill the space. It is necessary to train ourselves to come to stillness, to detach from all the thoughts that seem so important, interesting or worrying and which seem to just start pumping through our minds when the silence comes. We need to learn to let go of the past and future, which so occupy much of our daily/nightly thinking. Neither past nor future really exist anyway. Their power over us is only as strong as we give them consent. When we let them go, they lose their power and we can notice the present moment, where dwells all that really exists, and find our deeper selves, our eternal being, which is never separate from God. Christianity is rich in contemplative practice. The Celtic churches and the Desert Mothers and Fathers, taught by the original Jesus Movement itself, have left us the methods with which we can uncover the greatest treasures of the universe and find the kingdom of heaven already present within us. The SCM teaches through practice. You will learn through your experience and so be transformed more and more into the image of God that you truly are. ​When we bring our focus to our breath, straight away we begin to calm and enter the present moment. The Hebrew word רוּחַ rú'aħ, used many times in the Bible, means 'spirit', 'wind', 'air', and it means 'breath'. רוּחַ is the primeval, creative spirit/breath which broods over the waters in the Genesis, it is the life force which God breathes into the nostrils of אָדָם ʼAdam, human. So it makes sense for us to work with the breath, with the Spirit of God. Simply breathing deeply has wonderful physical benefits, taking in more oxygen on the in-breath, releasing toxins with the exhale. Working intentionally with the breath brings great spiritual benefit, taking us to deeper levels of consciousness, reconnecting us with the divine energy of Holy Spirit. Our breath arises from the root of our being, from the source of all that is, from God, God-self. Hectic lifestyles cause us to neglect the breath. Many of us breathe shallow when we are functioning in our everyday lives, gasp and pant and yawn to try to make up the deficit when the pace changes suddenly, and hold our breath unnecessarily, breaking natural rhythm. Much of this is symptomatic of unconscious living. Jesus of Nazareth taught his disciples to be conscious, to 'enter the kingdom of heaven' by becoming present. When we work with the breath we learn how to be conscious. In fact consciousness is a symptom of the realignment of our breath with the natural rhythm. Breath prayers and practices bring us not only to awareness of our own natural rhythm but to the breath/spirit of God which permeates the entire cosmos. When we pray with the breath, "...the Spirit helps us in our weakness. We do not know what we ought to pray for, but the Spirit herself prays in us with sighs too deep for words" (St Paul in Romans). ​Spending time with nature, with the beauty of God's creation, in the 'thin places' of mountain, beach, forest, marsh or earth, we find, if we are attentive, the oneness of all being. "Look deeply at the plants and flowers in the wild," says Jesus, "Contemplate the birds of the air." The human experience begins in the Garden of Eden. That's where everything is in harmony. To crowd our minds and lives with the egoic yearnings for control, wealth or safety at all cost, is to lock ourselves out of the Garden. When Mary Magdalene met the risen Christ, it was in a garden. The elements, plants and creatures of the natural call us home. Our Celtic ancestors recognized them as portals to the deeper consciousness, deeper being. When Jesus escapes the crowds in the Gospels, it is to the wild he returns, like the prophets before him, to centre, to reconnect, to contemplate, pray and renew. According to apocryphal collection of Jesus' teachings, The Gospel of Thomas, the disciples one day asked their Master, "Tell us how our end will come to pass." Jesus said, "Have you found the beginning then, that you are asking about the end? For the end will be found where the beginning is. Blessed is the person who stands at rest in the beginning. And that person will be acquainted with the end and will not taste death." Returning to the natural is to find oneself at the beginning. Here is all that is necessary to walk like Adam and Eve in the Garden with the Creator in the cool breeze of the evening. Returning to the beginning, we have all we need. We don't taste death here because we become conscious and so are alive. The kingdom of heaven is breaking in on us here. Look deeply in the wild and you can see your true nature. The veil between what seems and what is is very thin. Come to the living water, bathe in the blessed stream, come to the water, Christ redeemed. 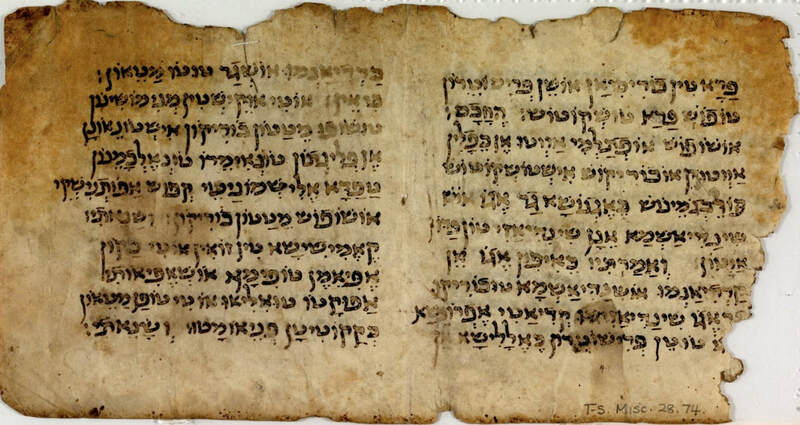 Contemplating Holy Scripture, passages from the Bible including studies of the gospels of Mary, Philip, Thomas and other non-canonical material from the Dead Sea Scrolls and Nag Hamadi finds, and other Christian sources can be deeply illuminating, spiritually. Lectio Divina, psalm meditation, imagining our way into the text, and poetic and artistic interpretation are all part of our rich contemplative Christian heritage. We also offer contemporary perspectives on the New Testament arising from explorations of the original languages of the texts, Hebrew, Aramaic and Greek.